Trusted, Comfortable and Caring Dentistry! 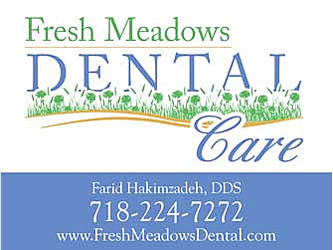 At Fresh Meadows Dental Care, our patients' comfort & satisfaction are our top priorities. We combine professional skill & experience with personable & personalized customer service to make sure you always leave our office with a smile. We are open before & after work as well as on Saturdays to better accommodate the schedules of our working patients, something we feel strongly about. No Insurance? Affordable Individual Dental Coverage! As low as $19.99 a month. as Late as 7 p.m & on Saturdays!